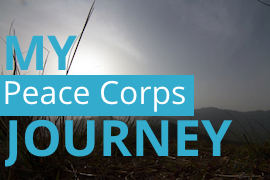 When I was in the Peace Corps, Alex told me many times that he wanted to take me on a road trip in the southwest US. 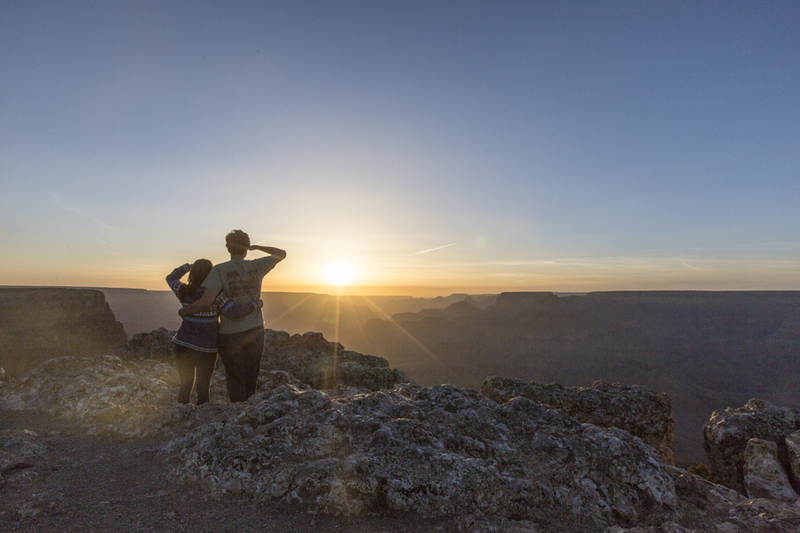 “Southwest has a very special place in my heart,” Alex said to me many times. We spent ten days traveling through Arizona and New Mexico visiting beautiful historical sites and national parks. I was in awe of the rich history, culture, scenery and great food that this area of the US has to offer. I fell so in love with the southwest that I want to take another road trip in the near future to visit more beautiful destinations. Alex and I visited Montezuma Castle located near Sedona. 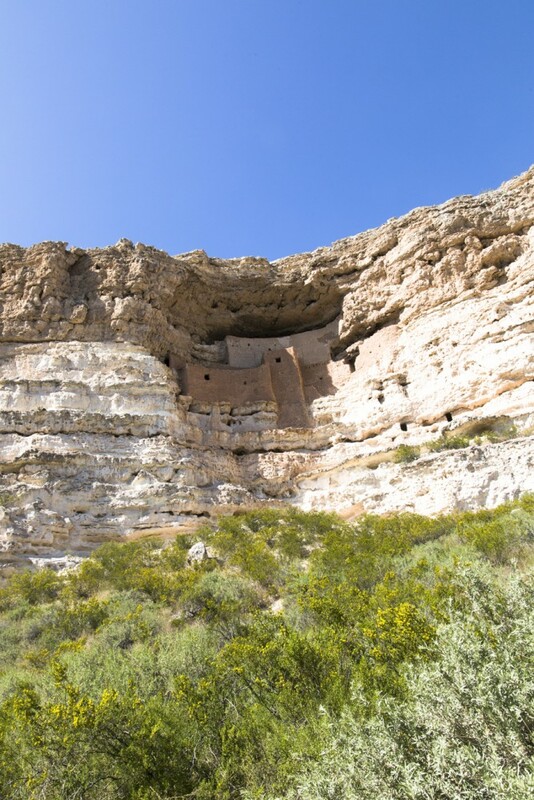 It’s a Puebloan cliff dwelling habited by Sinagua people between 1100 AD and 1425 AD. 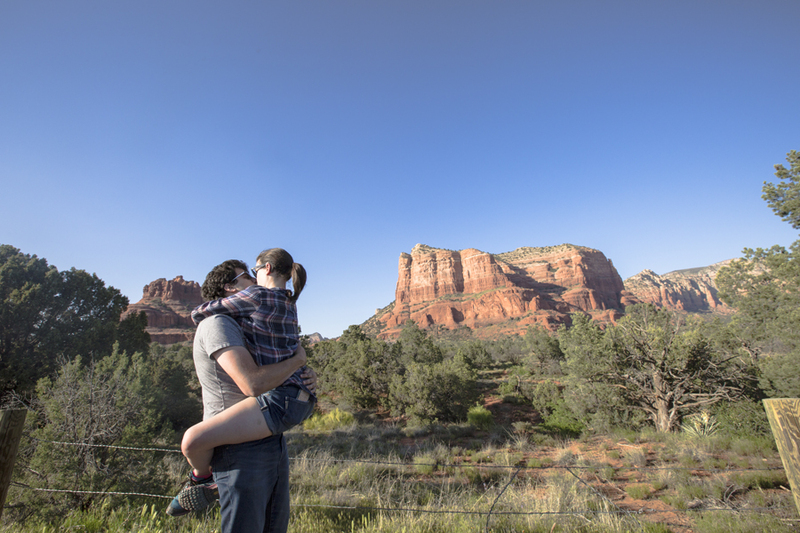 Alex and I stopped in Sedona for a night on our way to the Grand Canyon. It’s a beautiful area with lots of red rocks. Alex and I took a tour in a PINK jeep through Sedona. It was quite a wild and adventurous ride. 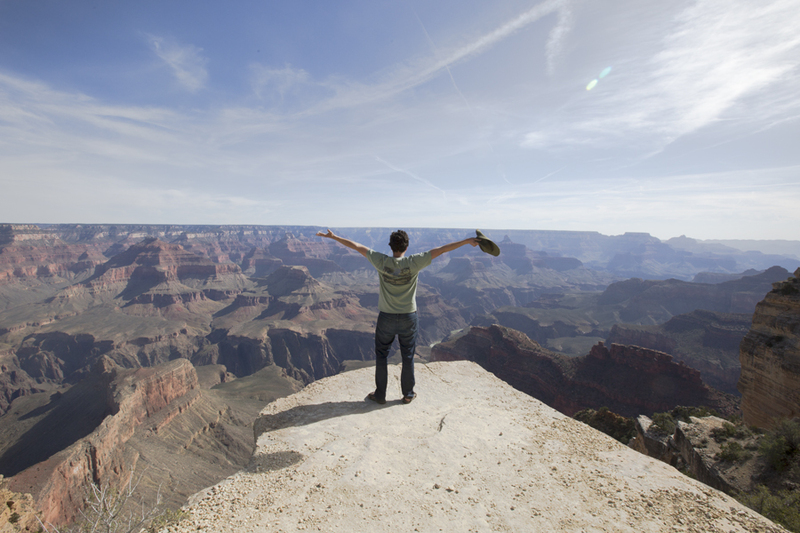 Grand Canyon is one of the most magnificent and awe-inspiring nature destination to visit. 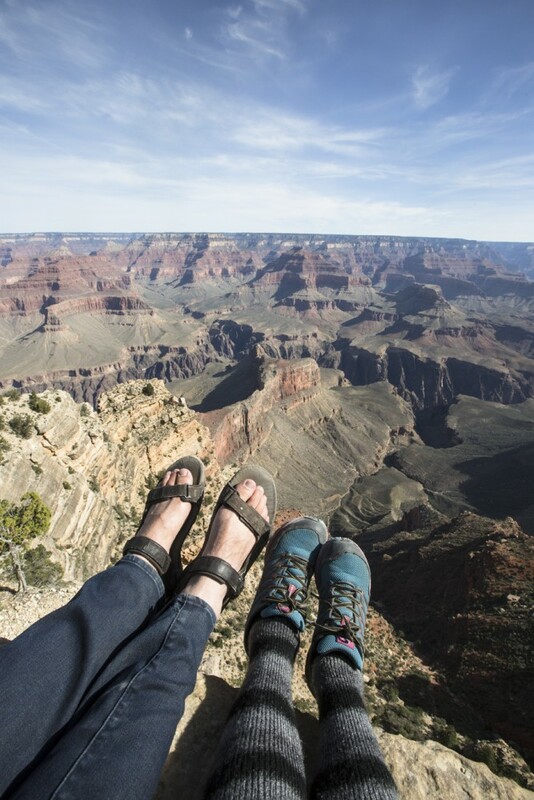 Sitting on the edge of a cliff in Grand Canyon was truly an adrenaline moment. Horseshoe Bend! This destination located in Page has been on my bucket list for awhile. It’s known for its unique geographical feature. The bend in the river is such a unique geographical feature. 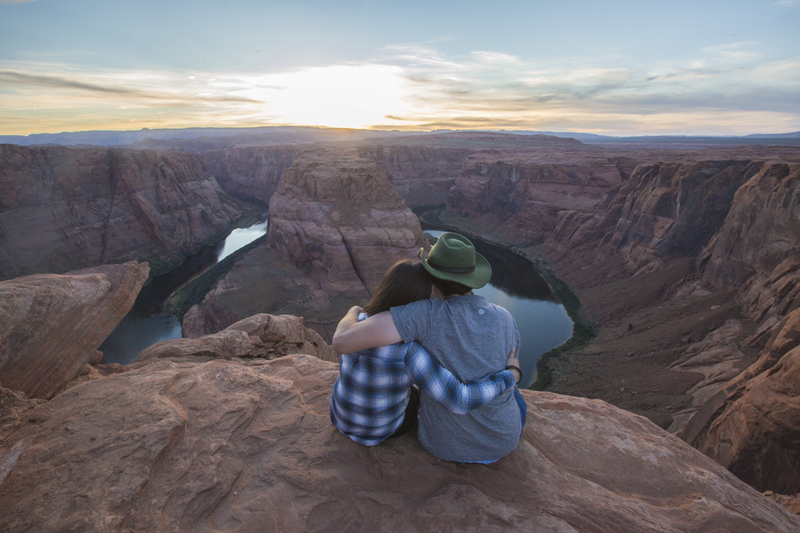 Horseshoe Bend is worth a stop on a southwest road trip. This nature destination is truly breathtaking. The boy in the photo is Alex. 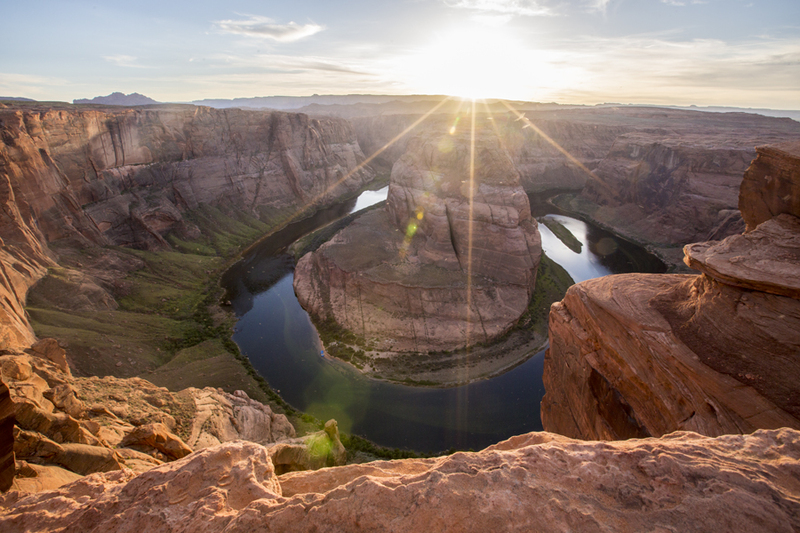 Horseshoe Bend at sunset. So beautiful. 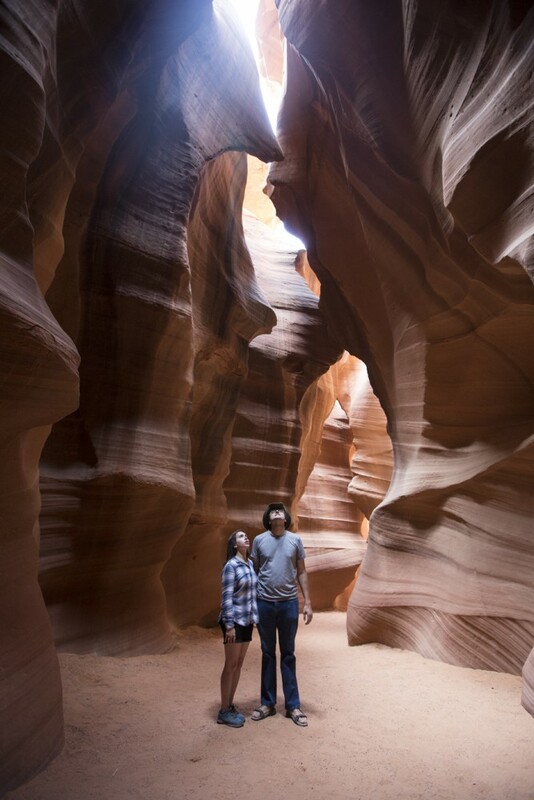 Yesterday morning, Alex and I visited Antelope Canyon, a Navajo Park. It’s also a paradise for photographers as there are so many opportunities create beautiful photographs. I dreamed of visiting there for many years. 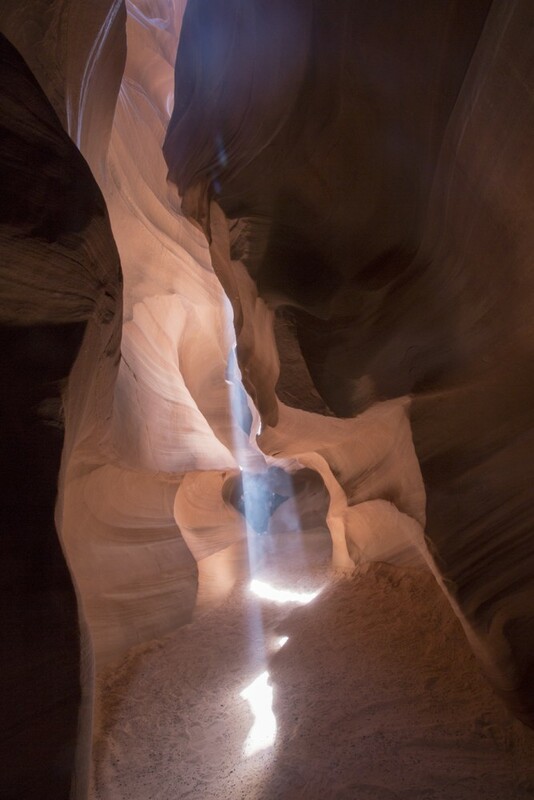 What makes Antelope Canyon so extraordinary is that one can see different colors created only by the sunlight. 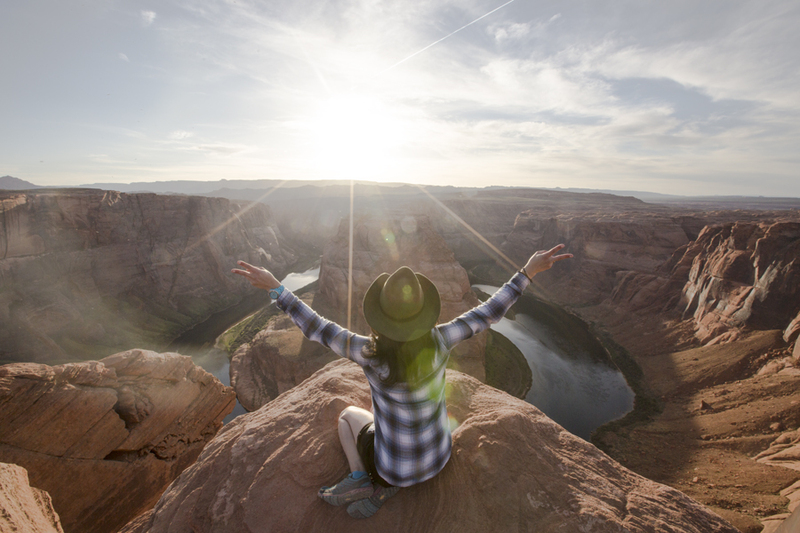 Because Antelope Canyon is on a Navajo reservation and preserving the beauty of the slot canyon is important, no tourist can go without a guide. Reservations have to be made far in advance as it can be booked a few months ahead. 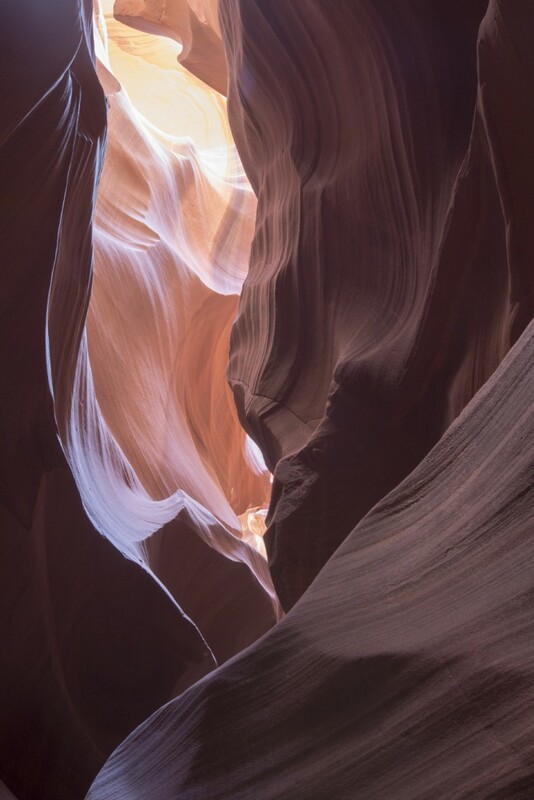 Antelope Canyon is a slot canyon that is known for its extraordinary lighting. 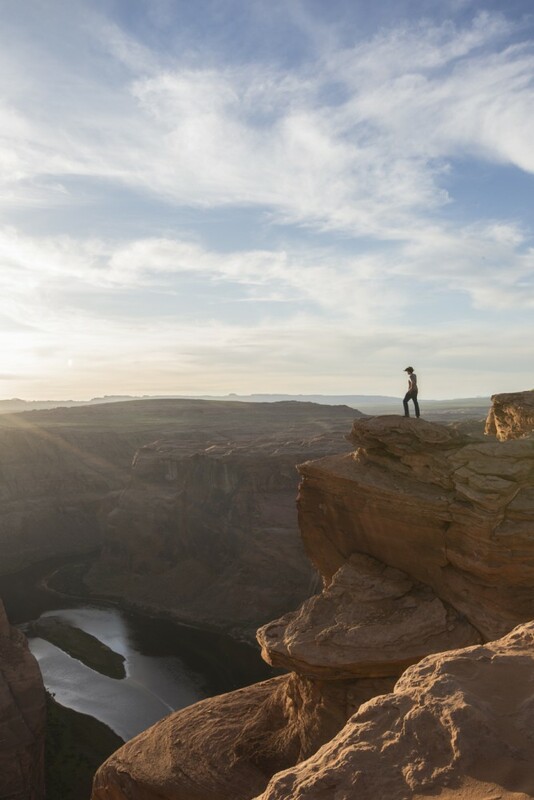 As one walks through the Canyon, one can admire the different colors created by the light. The tour guide put sand from the ground on a rock to create a waterfall effect. It resulted in creating a beautiful photo. 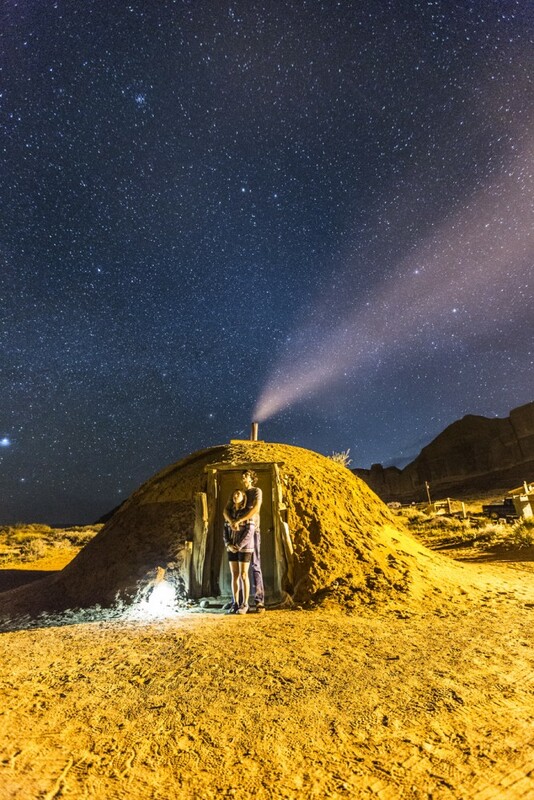 Alex and I stayed in a hogan, a traditional Navajo home, by Monument Valley last night. We were greeted by a lovely Navajo family who served us delicious homemade Navajo tacos. I also spent some time stargazing – I haven’t seen that many stars in a longtime. Southwest US is the place to go for stargazing! Inside the hogan. Alex tickled me while the picture was being photographed. The hogan was a very cozy place to stay. 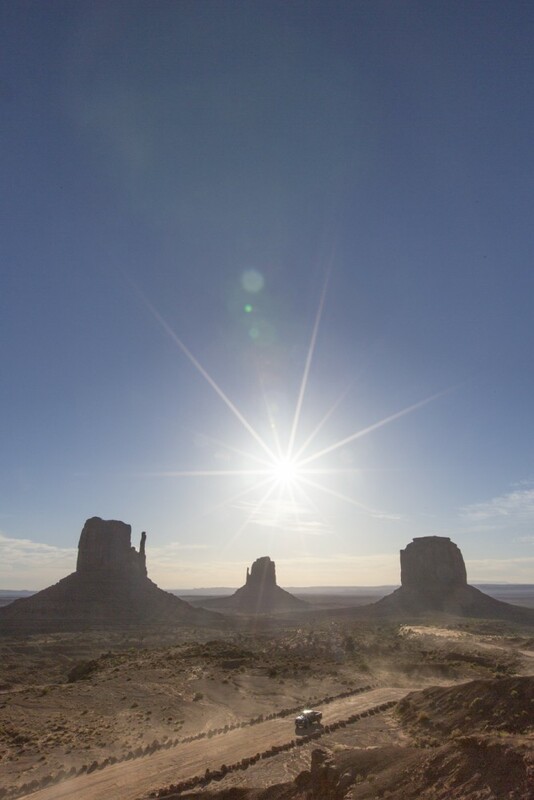 Yesterday, Alex and i explored Monument Valley, a Navajo park. It’s a beautiful park with its own unique geographical features. Santa Fe is a beautiful town. 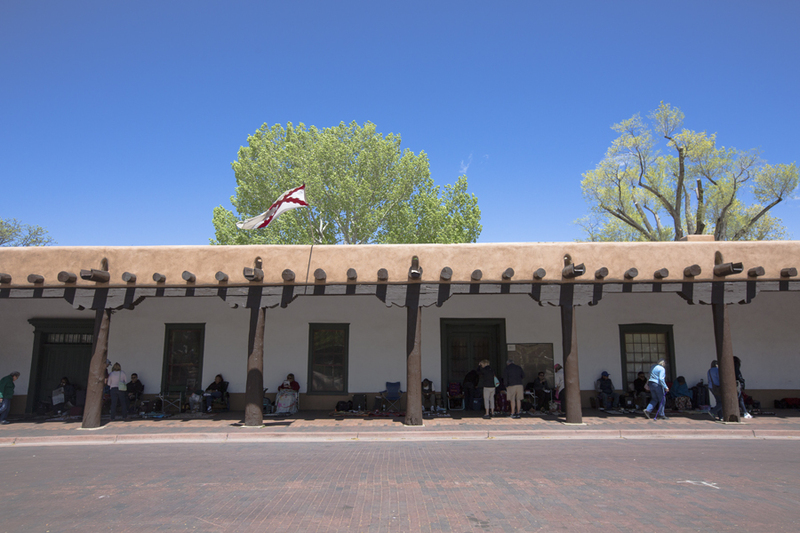 This is the Palace of the Governors which is the oldest continuous inhabited building in the US. It was built in 1610 by a Spanish governor of New Mexico. Since 1800’s Native Americans have been selling crafts by the Palace. It’s best place to buy turquoise according to travel publications. I bought a beautiful hand crafted bracelet with a turquoise stone from a Native American artist. 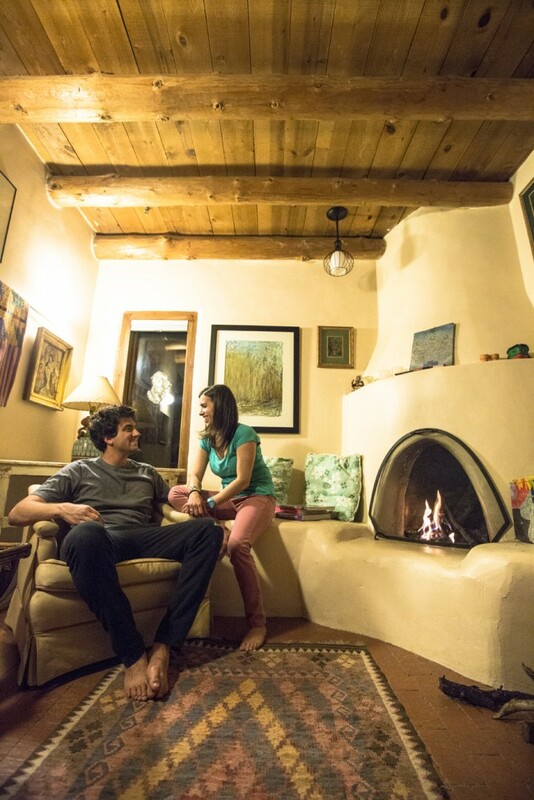 Alex and I stayed in an amazing traditional Pueblo home in Santa Fe for three nights. 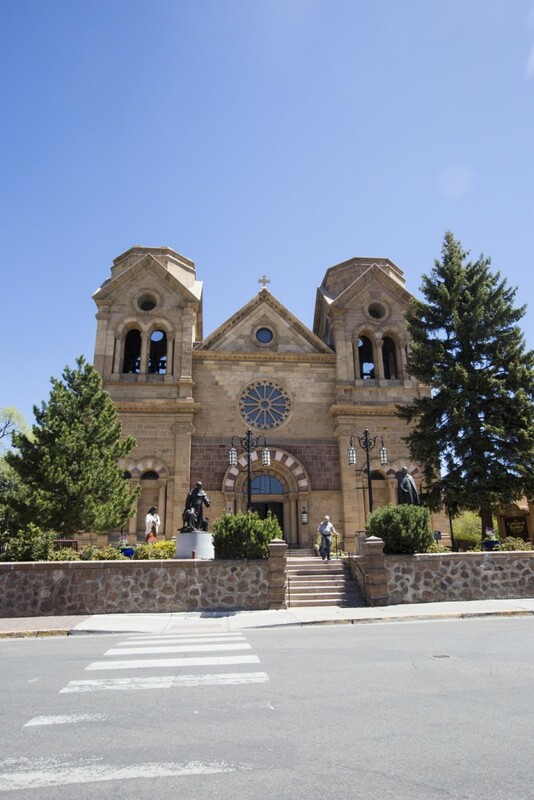 Cathedral Basilica of St. Francis was built between 1869 and 1886 around an adobe church that was built in 1714. There was another church on the same site that was built in 1626 but destroyed in 1680 by the Pueblo Indian Revolt. 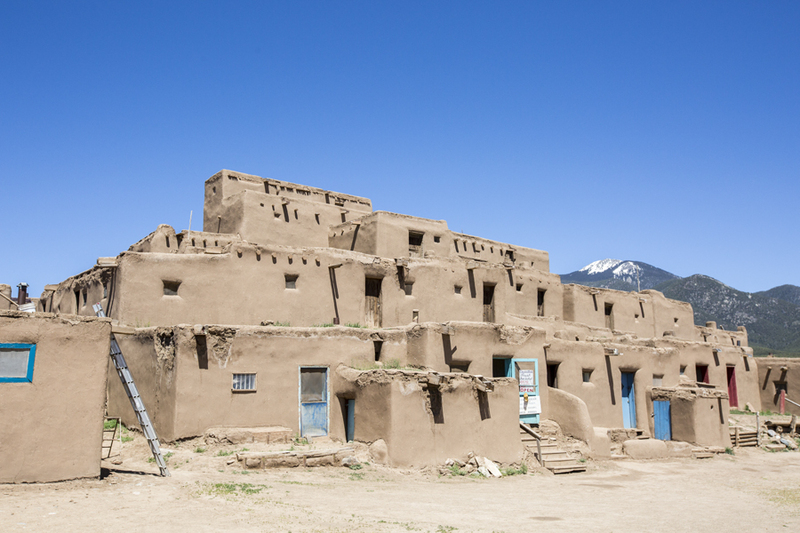 Alex and I visited Taos Pueblo, one of the oldest continuous inhabited place in the US. Archeologists believe that this dwelling was built between 1000 and 1450 AD, before Christopher Columbus discovered America. 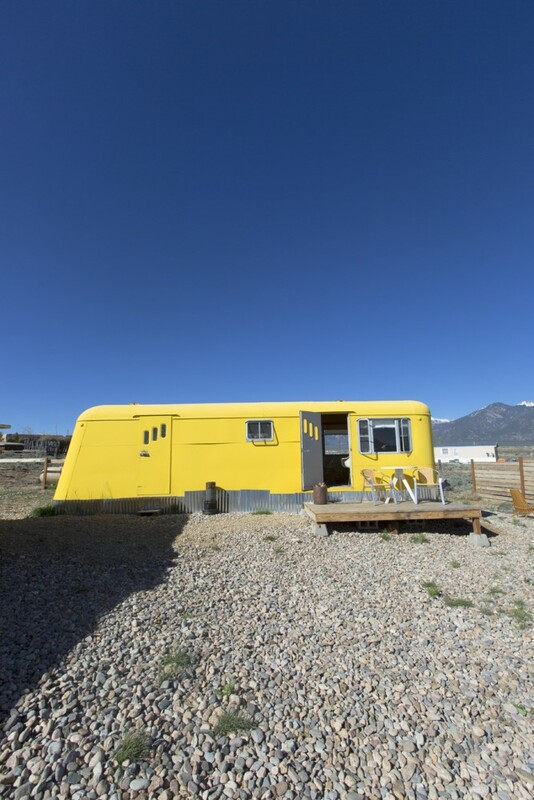 Our Airbnb for one night in Taos! 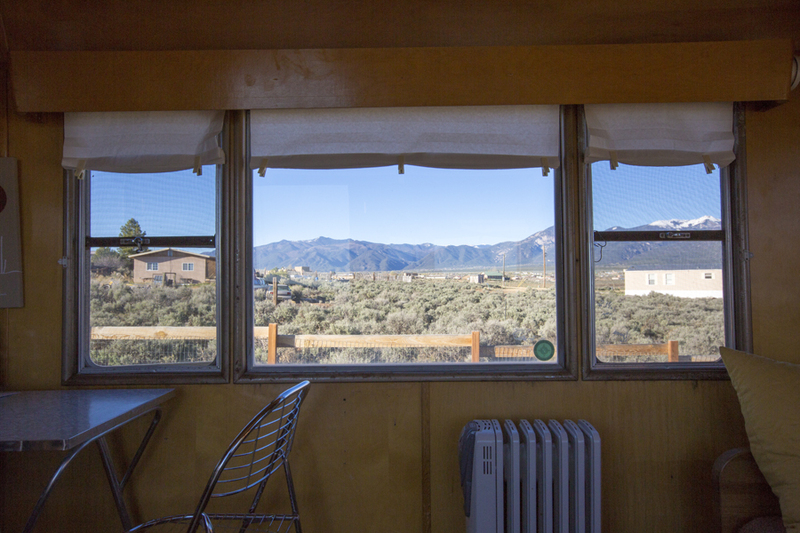 The view from the 1954 trailer where we spent the night. It’s always fun to be on an adventure. 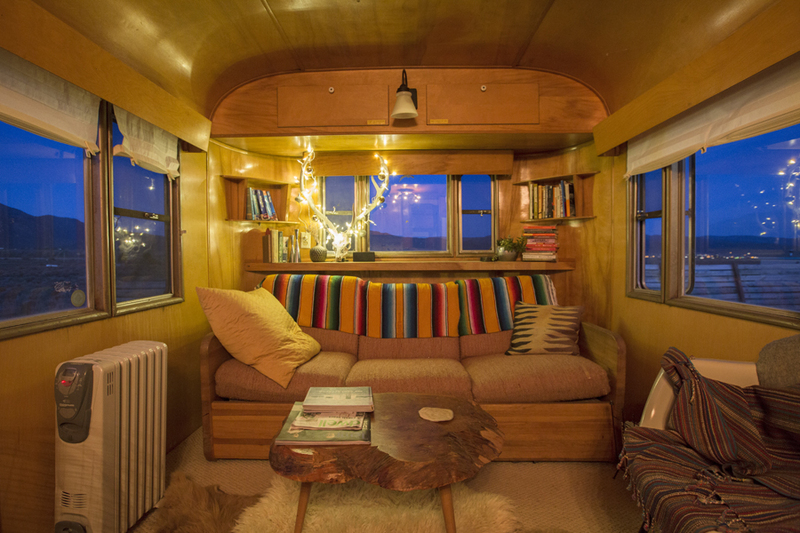 The interior of the trailer in Taos looks quite magical at night. 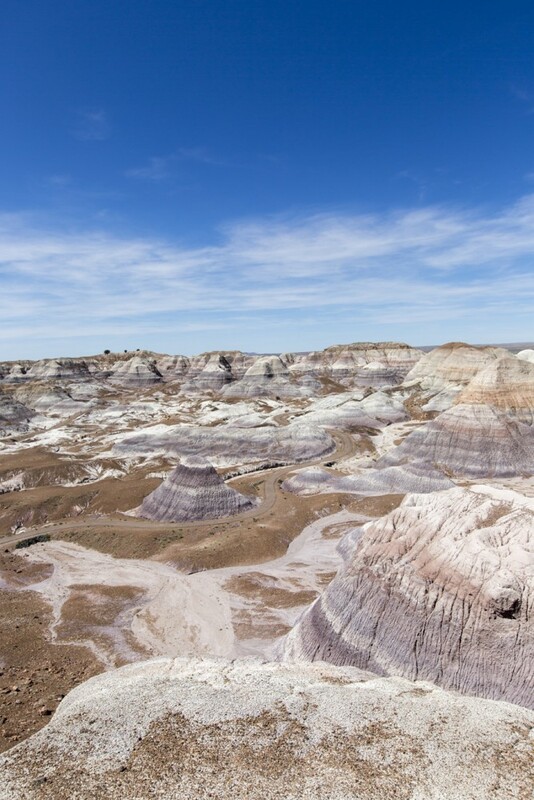 Alex and I visited Petrified Forest National Park where saw the beautiful Painted Desert. El Tovar Hotel || A beautiful old southwestern style historic lodge. Very delicious blue corn pancakes. ChocolaTree Organic Eatery || Great spot for delicious vegan food. Smoothies are a must-to-try. The Shed || Located in town center. Great selection of southwester food. Best enchiladas made with blue corn tortillas. Amigo Cafe || Delicious homemade tortilla chips with queso sauce and salsa. Large plate with tamale, enchilada, and rice. Eske’s Brew Pub and Eatery || Cozy atmosphere. Scrumptious southwestern turkey rolls. Hampton Inn || Sedona || A simple and cheap hotel in a good central location. Campsite in the National Park || Grand Canyon || Clean campsite. Includes a table and benches and campfire that is great for grilling food. 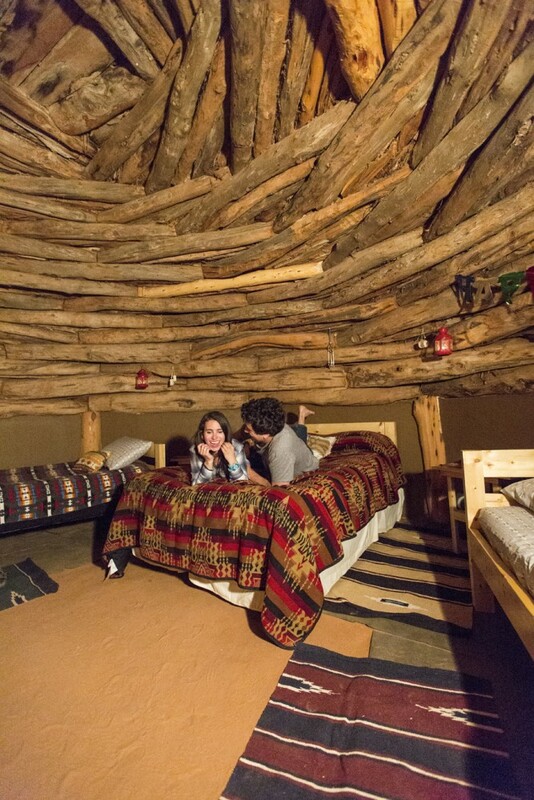 Airbnb || Monument Valley|| A very cozy hogan. Delicious Navajo tacos made by the Navajo family who were wonderful and welcoming hosts. 5 minute drive from Monument Valley. Airbnb || Santa Fe || A beautiful pueblo home filled with beautiful art and furniture. Nice little fireplace for chilly evenings. Hosted by a lovely retired couple. 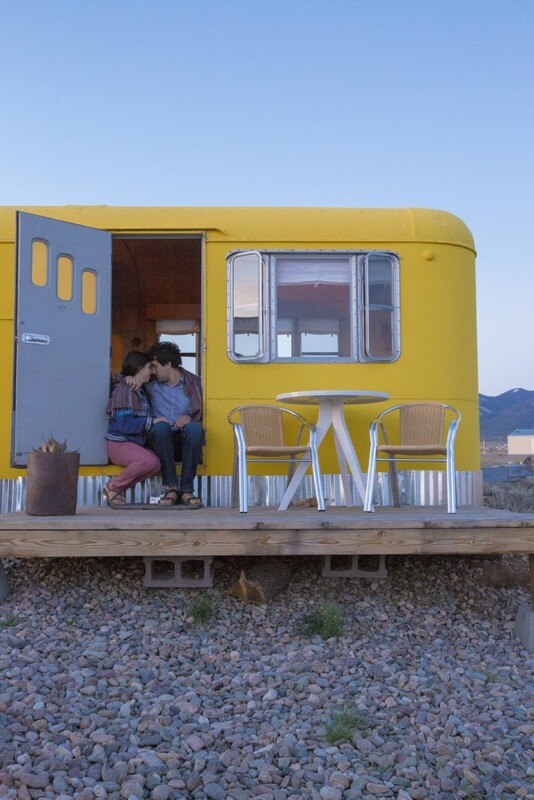 Airbnb || Taos|| A trailer from 1960’s with a lovely and whimsical interior design. Hosted by a school teacher who is hosting to earn a little extra money. 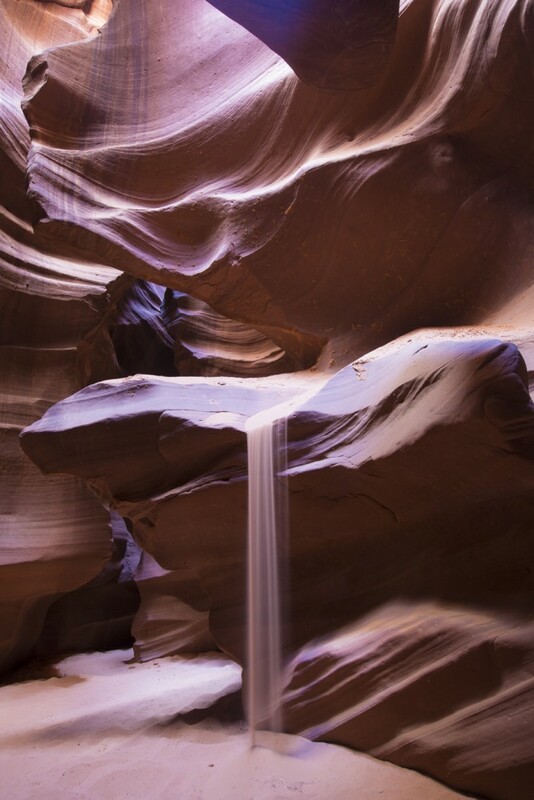 Antelope Canyon || Page || Stunning Navajo reservation that is worth seeing. Must book the tour at least three months in advance. 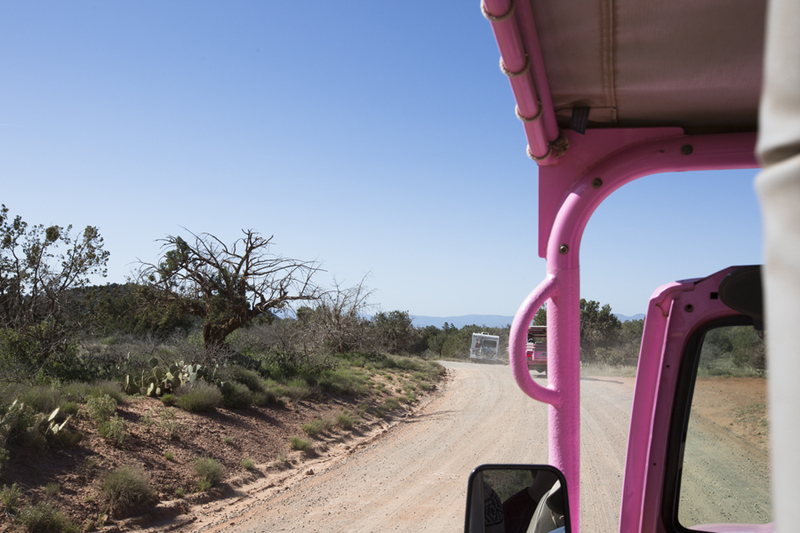 Pink Jeep Tour || Sedona || Thrilling. It resembles going on a safari tour. Great way to see the beautiful Sedona.